Recorded in Dallas and New Orleans, USA on February 9, 10, and 13, 2010. Cover art by Dennis González. Dennis had just finished mixing the music on Cape of Storms when he sent me the tapes. A couple of emails later, it was decided that this should be out as soon as possible. 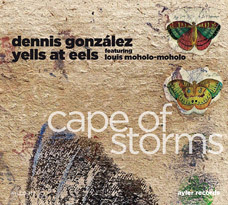 The trio of Dennis and sons Aaron and Stefan sounds better than ever and the meeting with legendary South African drummer Louis Moholo-Moholo is a special treat. Long-time collaborator Tim Green joins in and here we go for a rewarding hour of stellar performances by this augmented Yells at Eels.